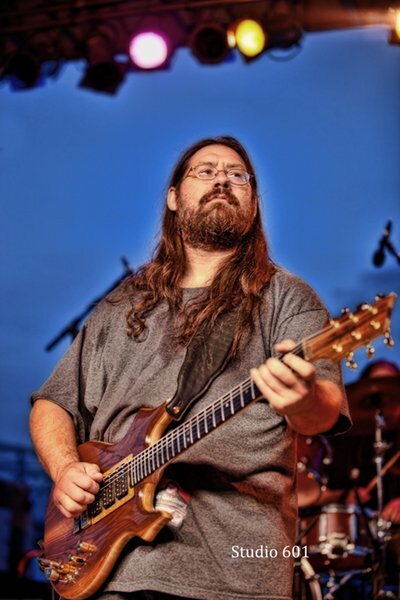 Guitarist-singer Dave Hebert (AKA A’Bear), is originally a native of Manitou Springs, Colorado. Dave has spent his musical career in many genres, including rock, reggae, folk, blues, and bluegrass. Right out of college, he toured nationally with mentor and close family friend reggae recording artist John Bayley. Dave is a founding member of Brother Kind, who opened for Merl Saunders and David Grisman at Red Rocks (7/7/97).The group still reunites every so often in Colorado. Currently a resident of Denver, Colorado, Dave relentlessly works on his many different musical projects. 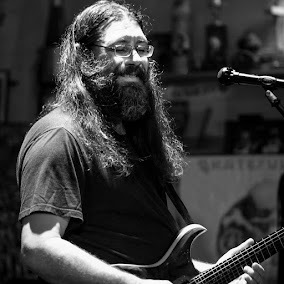 When not touring with Melvin Seals and JGB, he performs with many original bands of his own creation such as Working Man’s Grass, a bluegrass Dead band; he also plays solo acoustic gigs throughout the Southwest; and finally, Dave plays lead guitar and vocals for Xtra Ticket, Arizona’s premier Grateful Dead band. Versatility is his trademark. Whether it's his own songs or songs from the Grateful Dead and Jerry Garcia Band catalog, Dave not only captures the feel of songs, he often takes the musical risk of breathing new life into an old familiar tune and puts the A’Bear signature on it. That's the adventure and this is his journey.